What exactly IS cannabis? We all know that it’s a plant. Most of us have heard of THC before. “That’s the part that makes you feel high, right?” Well, yes. But it’s also a cannabinoid with great pain relieving effects. It’s also just one of 104 active cannabinoids in the cannabis sativa plant. By now you’ve likely also heard of cannabidiol – or CBD! CBD has incredible anti-inflammatory properties. 20x more than effective than aspirin! Did you know that THC and CBD help each other to work? In fact all 104 cannabinoids and 500 compounds found in cannabis work together to form what’s known as the “entourage effect”. This means all of the plant’s compounds are working together synergistically when treating a whole host of medical conditions. Please read on to find out why this magical plant is causing such a stir in the medical community! Medical cannabis is a term commonly used to refer to the cannabis sativa plant, also known as marijuana. Cannabis sativa is a plant with many medicinal properties that has been used for thousands of years. Cannabis is made up of over 500 compounds and contains 104 active cannabinoids, with the most well-researched cannabinoids being delta-9-tetrahydrocannabinol (THC) and cannabidiol (CBD). Along with other cannabinoids and terpenes, THC and CBD are believed to be the main compounds responsible for the therapeutic benefits offered by the plant. THC is the main psychoactive ingredient most often associated with pain relief, anti-nausea and sedation. CBD is the one of the many non-psychoactive cannabinoids and is also responsible for providing the analgesic, anti-spastic and anti-inflammatory effects. The cannabinoids found in the cannabis plant affect the body through our body’s natural cannabinoid receptors found in our endocannabinoid system. The endocannabinoid system (ECS) is a mechanism in the body where naturally occurring cannabinoids are released. This system plays an active role in our body’s regulation of inflammation, appetite, metabolism, digestion, synaptic plasticity, pain, memory, sleep, stress regulation and mood, among other things. The ECS helps to regulate the natural balance of the body and ward off stressors and infection. Cannabinoids found in the cannabis plant mimic our body’s own cannabinoids in order to stimulate this important system. The endocannabinoid system is found throughout our entire body, including the Central Nervous System (CNS) and the Peripheral Nervous System (PNS). It is made up of numerous receptors, with the most notable being CB1 and CB2 receptors to which THC and CBD bind. However, cannabinoid receptors are not found in the brain stem; cannabinoids, therefore, do not lead to lethal overdose the way that some other prescription drugs, such as opioids, do. The range and extent of the therapeutic benefits of cannabis are dependent on what Ethan Russo has called the “Entourage Effect“. Part of the reason why naturally occurring cannabinoids provide patients with greater therapeutic effects is because of the synergy between active cannabinoids such as THC and CBD, terpenes and other compounds found in the plant. Terpenes are the compounds responsible for the flavour and fragrance in multiple food and drink items found in the human diet. Terpenes are potent compounds that have the potential to affect animal and human behaviour. It is the terpenes found in the cannabis plant that are responsible for the beautiful aroma of cannabis. The common terpenes found in cannabis are: limonene, myrcene, α – pinene, linalool, β – caryophyllene, nerolidol and phytol. Terpenes are extremely pharmacologically versatile as they interact with cell membranes, neuronal and muscle ion channels and neurotransmitter receptors, among other things. In addition to the 104 cannabinoids found in the cannabis plant, terpene content above 0.05% has the potential to provide patients with added therapeutic benefits such as pain relief, anti-anxiety effects, and relaxation. As a result of the abundance of cannabinoid receptors throughout the human body and the immense therapeutic potential of the active cannabinoids and terpenes found in the plant, medical cannabis has a significant ability to provide patients with a wide range of therapeutic effects. Perhaps one of the most well known conditions for which cannabis is known to provide therapeutic relief is chronic pain. It is estimated that 3.9 million Canadians suffer from chronic pain conditions. 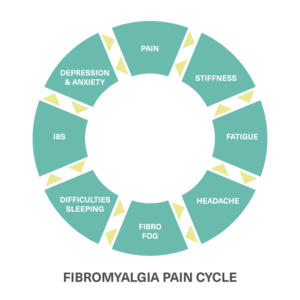 Chronic pain conditions such as fibromyalgia, chronic back and neck pain, arthritis, among others, are multifaceted. For this reason, chronic pain conditions require a multi-modal approach to treatment which also seeks to address the co-occurring symptoms such as anxiety, depression, difficulties sleeping, headaches, inflammation, stiffness and fatigue. The analgesic and anti-inflammatory effects of cannabis have the potential to provide patients suffering from chronic pain with tremendous symptoms relief with relatively few side-effects. Where women’s health is concerned, cannabis has the potential to assist female patients suffering from endometriosis, pain related to their menstrual cycle, chronic headaches and migraines, and breast cancer. Cannabis additionally has many effects which can be beneficial for managing your mental health, an important aspect of many chronic conditions. Research shows that cannabis plays an important role in regulating negative emotions and can provide patients with anxiety-relieving effects. When combined with additional strategies targeted at promoting healthy coping mechanisms, cannabis can be an excellent option for managing conditions such as Post Traumatic Stress Disorder and for promoting overall mental health. Sleep continues to be one of the most important factors involved in managing chronic health conditions and has a significant impact on our health. Good quality sleep helps the brain battle inflammation and the immune system ward off illness. A lack of sleep counteracts the body’s ability to cope with daily stressors in life and can pose additional challenges for patients living with chronic conditions. Patients who suffer from insomnia and other sleep conditions often report experiencing constant fatigue, difficulty focusing and memory problems. A lack of quality sleep can further exacerbate a patient’s medical condition and can make the management of symptoms extremely difficult. Cannabis is often used by patients to help them get to sleep and stay asleep. Studies show that high cannabinoid levels promote sleep, and that THC is highly sedative.